Even more chances to win! As well as our Member Only Competitions, here at Compers News we also giveaway hundreds of pounds worth of prizes every month for you stories, photos, competitions and puzzles. 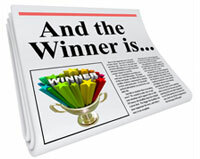 We always like hearing about your latest wins, do let us know about your latest comping news. Prize: We will send you £20 for every photograph published. Alternatively, email editor@compersnews.com with a subject line of 'Winners Story submission' or post to: Winners Stories, Compers News, PO Box 8763, Nottingham NG2 9BS. From absolute beginner to big-time winner, everybody has a comping story to tell. If you would like to be considered as our Star Comper send us your story (around 700 words), photographs and a quick Member Profile (you can make up your own categories). 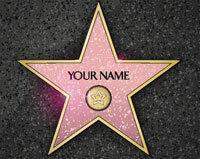 Prize: You’ll receive £100 if you are selected as our Monthly Star Comper! Alternatively, email editor@compersnews.com with a subject line of 'Star Comper submission' or post to: Star Comper, Compers News, PO Box 8763, Nottingham NG2 9BS. Found a competition we haven’t printed yet? Your editor has been a genuine comper for 40 years, and prides himself on going out most days looking for new comps. But he can’t be everywhere – and this is where you come in! Chances are you live in a different area, shop at different stores, buy different products or read different newspapers and magazines… so can you find a brand new comp first and BEAT THE ED? Any comp that we can use in Compers News or Compers Update qualifies – including any on-pack or in-store promotion, any entry form or leaflet, any magazine or booklet... and even major web comps too! Simply send us an original or clear photocopy of all the actual comp material – including the small print. And if you are sending us something from a magazine where the answers and/or T&Cs appear on different pages, please make sure that you send us everything. Every time you send us a comp we haven’t seen before and that can be included in Compers News or Compers Update, you’ll get an entry into our monthly draw. The more times you BEAT THE ED, the more entries you get – so if in doubt, send it in! At the end of every month we’ll draw out THREE lucky winners who’ll each receive 24 second-class stamps. So, go on… rise to the challenge and try to BEAT THE ED. Or post entries to: BEAT THE ED, Compers News, PO Box 8763, Nottingham NG2 9BS, or scan and email to: editor@compersnews.com – putting ‘BEAT THE ED’ in the subject line. Please enlarge any particularly tiny small-print before sending.